Current projects: Searches for the Higgs Boson at the Tevatron., Global dilepton analyses at CDF and ATLAS., Using the ATLAS Transition Radiation Tracker in a search for exotic charged massive particles., Silicon detector upgrades for ATLAS. 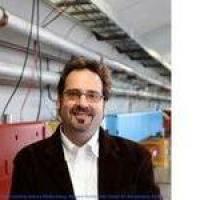 Research Description: Prof. Mark Kruse is primarily interested in searches for the Higgs boson, production of vector boson pairs, and model-independent analysis techniques for new particle searches. Within the Standard Model(SM) the generation of the masses of the W and Z bosons is accomplished through the Higgs mechanism, a manifestation of which is a particle called the Higgs boson. It is therefore of considerable importance in particle physics to find the Higgs boson, or discover whatever other theory plays the role of the Higgs mechanism should the SM Higgs not exist. Prof. Kruse led the CDF Higgs discovery group at Fermilab from Jan 2007 to Jan 2009 and continues to play an active role in Higgs searches. In addition he has developed a global analysis to search for new physics using events containing a high-energy electron and muon. These programs of research are being conducted with the CDF detector at Fermilab, and the ATLAS detector at the Large Hadron Collider (LHC) which started colliding beams of protons in late 2009. Prof. Kruse is also interested in silicon detector design for high-energy particle physics experiments and is part of a group developing the next generation of silicon detectors for the ATLAS experiment. Aaboud, M; Aad, G; Abbott, B; Abdinov, O; Abeloos, B; Abidi, SH; AbouZeid, OS; Abraham, NL; Abramowicz, H; Abreu, H; Abulaiti, Y; Acharya, BS; Adachi, S; Adamczyk, L; Adelman, J; Adersberger, M; Adye, T; Affolder, AA; Afik, Y; Agheorghiesei, C; Aguilar-Saavedra, JA; Ahmadov, F; Aielli, G; Akatsuka, S; Åkesson, TPA; Akilli, E; Akimov, AV; Alberghi, GL; Albert, J; Albicocco, P; Alconada Verzini, MJ; Alderweireldt, S; Aleksa, M; Aleksandrov, IN; Alexa, C; Alexander, G; Alexopoulos, T; Alhroob, M; Ali, B; Aliev, M; Alimonti, G; Alison, J; Alkire, SP; Allaire, C; Allbrooke, BMM; Allen, BW; Allport, PP; Aloisio, A; Alonso, A; Alonso, F; Alpigiani, C; Alshehri, AA; Alstaty, MI; Alvarez Gonzalez, B; Álvarez Piqueras, D; Alviggi, MG; Amadio, BT; Amaral Coutinho, Y; Ambroz, L; Amelung, C; Amidei, D; Amor Dos Santos, SP; Amoroso, S; Amrouche, CS; Anastopoulos, C; Ancu, LS; Andari, N; Andeen, T; Anders, CF; Anders, JK; Anderson, KJ; Andreazza, A; Andrei, V; Angelidakis, S; Angelozzi, I; Angerami, A; Anisenkov, AV; Annovi, A; Antel, C; Anthony, MT; Antonelli, M; Antrim, DJA; Anulli, F; Aoki, M; Aperio Bella, L; Arabidze, G; Arai, Y, Search for a heavy Higgs boson decaying into a Z boson and another heavy Higgs boson in the ℓℓbb final state in pp collisions at √s= 13 TeV with the ATLAS detector, Physics Letters B, vol. 783 (August, 2018), pp. 392-414, Elsevier BV [doi] [abs]. Aaboud, M; Aad, G; Abbott, B; Abdinov, O; Abeloos, B; Abidi, SH; AbouZeid, OS; Abraham, NL; Abramowicz, H; Abreu, H; Abulaiti, Y; Acharya, BS; Adachi, S; Adamczyk, L; Adelman, J; Adersberger, M; Adye, T; Affolder, AA; Afik, Y; Agheorghiesei, C; Aguilar-Saavedra, JA; Ahmadov, F; Aielli, G; Akatsuka, S; Åkesson, TPA; Akilli, E; Akimov, AV; Alberghi, GL; Albert, J; Albicocco, P; Alconada Verzini, MJ; Alderweireldt, S; Aleksa, M; Aleksandrov, IN; Alexa, C; Alexander, G; Alexopoulos, T; Alhroob, M; Ali, B; Aliev, M; Alimonti, G; Alison, J; Alkire, SP; Allaire, C; Allbrooke, BMM; Allen, BW; Allport, PP; Aloisio, A; Alonso, A; Alonso, F; Alpigiani, C; Alshehri, AA; Alstaty, MI; Alvarez Gonzalez, B; Álvarez Piqueras, D; Alviggi, MG; Amadio, BT; Amaral Coutinho, Y; Ambroz, L; Amelung, C; Amidei, D; Amor Dos Santos, SP; Amoroso, S; Amrouche, CS; Anastopoulos, C; Ancu, LS; Andari, N; Andeen, T; Anders, CF; Anders, JK; Anderson, KJ; Andreazza, A; Andrei, V; Angelidakis, S; Angelozzi, I; Angerami, A; Anisenkov, AV; Annovi, A; Antel, C; Anthony, MT; Antonelli, M; Antrim, DJA; Anulli, F; Aoki, M; Aperio Bella, L; Arabidze, G; Arai, Y; Araque, JP, Search for pair production of up-type vector-like quarks and for four-top-quark events in final states with multiple b-jets with the ATLAS detector, Journal of High Energy Physics, vol. 2018 no. 7 (July, 2018), Springer Nature [doi] [abs]. Aaboud, M; Aad, G; Abbott, B; Abdinov, O; Abeloos, B; Abidi, SH; AbouZeid, OS; Abraham, NL; Abramowicz, H; Abreu, H; Abreu, R; Abulaiti, Y; Acharya, BS; Adachi, S; Adamczyk, L; Adelman, J; Adersberger, M; Adye, T; Affolder, AA; Afik, Y; Agatonovic-Jovin, T; Agheorghiesei, C; Aguilar-Saavedra, JA; Ahlen, SP; Ahmadov, F; Aielli, G; Akatsuka, S; Akerstedt, H; Åkesson, TPA; Akilli, E; Akimov, AV; Alberghi, GL; Albert, J; Albicocco, P; Alconada Verzini, MJ; Alderweireldt, SC; Aleksa, M; Aleksandrov, IN; Alexa, C; Alexander, G; Alexopoulos, T; Alhroob, M; Ali, B; Aliev, M; Alimonti, G; Alison, J; Alkire, SP; Allbrooke, BMM; Allen, BW; Allport, PP; Aloisio, A; Alonso, A; Alonso, F; Alpigiani, C; Alshehri, AA; Alstaty, MI; Alvarez Gonzalez, B; Álvarez Piqueras, D; Alviggi, MG; Amadio, BT; Amaral Coutinho, Y; Amelung, C; Amidei, D; Amor Dos Santos, SP; Amoroso, S; Amundsen, G; Anastopoulos, C; Ancu, LS; Andari, N; Andeen, T; Anders, CF; Anders, JK; Anderson, KJ; Andreazza, A; Andrei, V; Angelidakis, S; Angelozzi, I; Angerami, A; Anisenkov, AV; Anjos, N; Annovi, A; Antel, C; Antonelli, M; Antonov, A; Antrim, DJ; Anulli, F, Search for top-squark pair production in final states with one lepton, jets, and missing transverse momentum using 36 fb −1 of √s=13 TeV pp collision data with the ATLAS detector, Journal of High Energy Physics, vol. 2018 no. 6 (June, 2018), Springer Nature [doi] [abs]. Aaboud, M; Aad, G; Abbott, B; Abdinov, O; Abeloos, B; Abidi, SH; AbouZeid, OS; Abraham, NL; Abramowicz, H; Abreu, H; Abreu, R; Abulaiti, Y; Acharya, BS; Adachi, S; Adamczyk, L; Adelman, J; Adersberger, M; Adye, T; Affolder, AA; Afik, Y; Agatonovic-Jovin, T; Agheorghiesei, C; Aguilar-Saavedra, JA; Ahlen, SP; Ahmadov, F; Aielli, G; Akatsuka, S; Akerstedt, H; Åkesson, TPA; Akilli, E; Akimov, AV; Alberghi, GL; Albert, J; Albicocco, P; Alconada Verzini, MJ; Alderweireldt, SC; Aleksa, M; Aleksandrov, IN; Alexa, C; Alexander, G; Alexopoulos, T; Alhroob, M; Ali, B; Aliev, M; Alimonti, G; Alison, J; Alkire, SP; Allbrooke, BMM; Allen, BW; Allport, PP; Aloisio, A; Alonso, A; Alonso, F; Alpigiani, C; Alshehri, AA; Alstaty, MI; Alvarez Gonzalez, B; Álvarez Piqueras, D; Alviggi, MG; Amadio, BT; Amaral Coutinho, Y; Amelung, C; Amidei, D; Amor Dos Santos, SP; Amoroso, S; Amundsen, G; Anastopoulos, C; Ancu, LS; Andari, N; Andeen, T; Anders, CF; Anders, JK; Anderson, KJ; Andreazza, A; Andrei, V; Angelidakis, S; Angelozzi, I; Angerami, A; Anisenkov, AV; Anjos, N; Annovi, A; Antel, C; Antonelli, M; Antonov, A; Antrim, DJ; Anulli, F, Search for Higgs boson decays to beyond-the-Standard-Model light bosons in four-lepton events with the ATLAS detector at √s=13 TeV, Journal of High Energy Physics, vol. 2018 no. 6 (June, 2018), Springer Nature [doi] [abs]. Aaltonen, T; Amerio, S; Amidei, D; Anastassov, A; Annovi, A; Antos, J; Apollinari, G; Appel, JA; Arisawa, T; Artikov, A; Asaadi, J; Ashmanskas, W; Auerbach, B; Aurisano, A; Azfar, F; Badgett, W; Bae, T; Barbaro-Galtieri, A; Barnes, VE; Barnett, BA; Barria, P; Bartos, P; Bauce, M; Bedeschi, F; Behari, S; Bellettini, G; Bellinger, J; Benjamin, D; Beretvas, A; Bhatti, A; Bland, KR; Blumenfeld, B; Bocci, A; Bodek, A; Bortoletto, D; Boudreau, J; Boveia, A; Brigliadori, L; Bromberg, C; Brucken, E; Budagov, J; Budd, HS; Burkett, K; Busetto, G; Bussey, P; Butti, P; Buzatu, A; Calamba, A; Camarda, S; Campanelli, M; Canelli, F; Carls, B; Carlsmith, D; Carosi, R; Carrillo, S; Casal, B; Casarsa, M; Castro, A; Catastini, P; Cauz, D; Cavaliere, V; Cavalli-Sforza, M; Cerri, A; Cerrito, L; Chen, YC; Chertok, M; Chiarelli, G; Chlachidze, G; Cho, K; Chokheli, D; Ciocci, MA; Clark, A; Clarke, C; Convery, ME; Conway, J; Corbo, M; Cordelli, M; Cox, CA; Cox, DJ; Cremonesi, M; Cruz, D; Cuevas, J; Culbertson, R; D'Ascenzo, N; Datta, M; De Barbaro, P; Demortier, L; Deninno, M; Devoto, F; D'Errico, M; Di Canto, A; Di Ruzza, B; Dittmann, JR; D'Onofrio, M; Donati, S; Dorigo, M; Driutti, A; Ebina, K; Edgar, R; Elagin, A, Erratum: Search for Bs0 →μ+μ- and B0 →μ+μ- decays with the full CDF Run II data set (Physical Review D (2013) 87 (072003) DOI: 10.1103/PhysRevD.87.072003), Physical Review D, vol. 97 no. 9 (May, 2018), American Physical Society (APS) [doi] [abs]. Prof. Mark Kruse's research is in the area of High-Energy Particle Physics, where his primary focus is on the analysis of data collected by the ATLAS detector at the Large Hadron Collider (LHC). With the Higgs boson now discovered by the ATLAS and CMS collaborations (in July 2012) his main interest is now directed toward discovering what model of the Universe exists beyond our Standard Model. There are many reasons to believe in a theory beyond the Standard Model. Perhaps the most easily apparent is the existence of Dark Matter, which the Standard Model has no particle candidate for. To this end Prof. Kruse's group are developing a global search technique for new physics beyond the Standard Model (in the belief that we likely haven't thought of what might exist!). Prof. Kruse is also coordinating an effort at Duke for the building of the next generation of ATLAS silicon tracking detectors for the so-called phase II ATLAS upgrade scheduled for around 2025.